At one time or another, those artists who have logged in many studio hours will eventually find their way to record their perspective on what Christmas hymns or popular tunes should sound and feel like. I thoroughly appreciate when an artist refuses in leaning too far to the left or right for the sake of holiday cheer, case in point being Anthony’s Hamilton smoky soulful, Home For The Holidays, from 2014. The delightful news is we can now trumpet in the 2015 holiday season with one of urban music’s most decorated bands, Mint Condition, who has finally made the move in writing their own holiday greeting card in Healing Season. Just like Mr. Hamilton, Stokley Williams and M.C. simply preach to their fan bases with their own stylish musical nuances. M.C.’s hearty combination of R&B, funk, electronic, pop and hip-hop have scored a number of hits about romance and love, including “Breakin’ My Heart (Pretty Brown Eyes),” “You Don’t Have To Hurt No More” and “Not My Daddy” (featuring Kelly Price), that have reached the top fifty R&B on all of their eight CD’s since 1991. 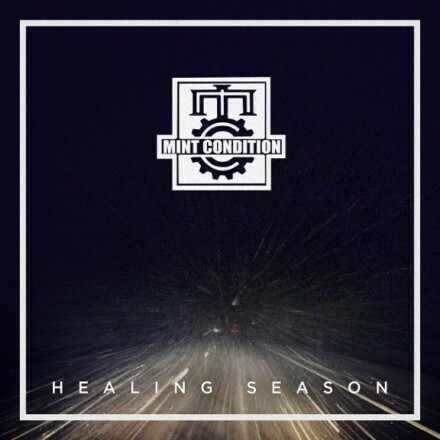 Though the familiar pieces we’ve heard time and again take up about half of Healing Season, Mint Condition manages to stamp their own unique musical interpretations without the cheesy aftertaste. The James Brown holiday jam, “Santa Clause Go Straight to The Ghetto,” also covered by Hamilton on his holiday CD, is in the very capable jazzy blues hands of Stokley and M.C. “Someday at Christmas,” a Stevie Wonder holiday favorite, proves Stokley is one of the few vocal practitioners who oozes Stevie to a tee, even though the instrumental arrangement is not as stellar compared to the other tracks. In a welcome change of pace for M.C., “A Child is Born” is presented on a warm jazz plate, including a classy guitar solo, before heading in an explosion of rapid fire saxophone, Stokley’s majestic pipes and an African percussion climax. Finally, “Little Drummer Boy” rises to new dazzling heights for drum lines, an engaging go-go beat and an in the pocket funky strut. It is with wide-eared confidence that Healing Season possesses all the ingredients for R&B and other contemporary urban fans to feast on. 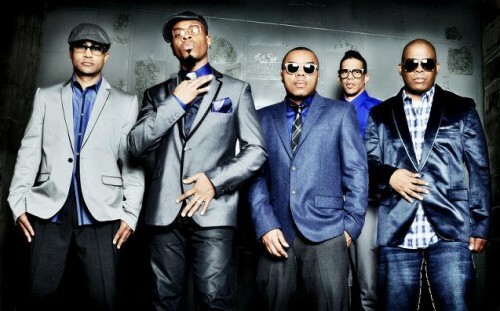 Undoubtedly, Stokley and M.C. have delivered a solid holiday package that should resonate for years to come. Four and three-quarter stars out of five. More Reviews....on The Urban Music Scene! One Response to "Mint Condition | Healing Season"